There's nothing that says "summer" more than spending these warm yet slightly breezy nights traipsing the city with your girls, enjoying the flickering lights while catching up with friends, or experiencing the excitement of a summer date with a new guy. 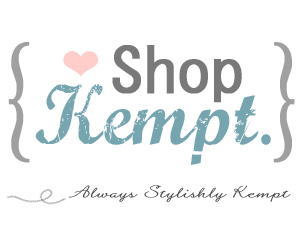 Take your outfit from day to night with these easy, fabulous outfits from Shopkempt. Shopkempt is a new online boutique with some of the most charming dresses, jackets, and accessories, all at prices we college girls love. We've completely fallen head over heels for their romantic dresses and chic bags! 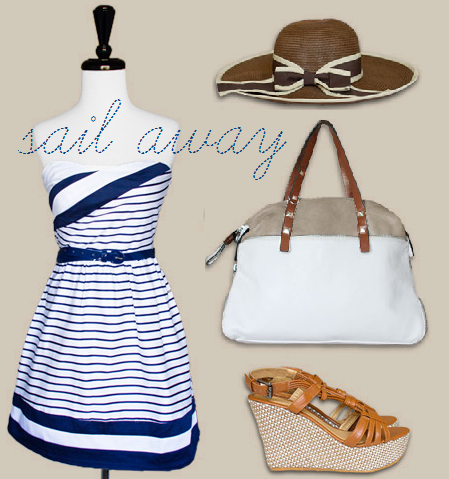 Perfect for a day on the water or just a walk through a park, this outfit was inspired by nautical stripes and sailor outfits. It's chic, comfortable, and casual, but can easily be dressed up or down with a different pair of shoes. Love the looks at Coachella this year? Get a bohemian look with this laced dress (now on sale! ), a cross-body bag to keep all your belongings safe, and a pair of comfortable sandals. Keep yourself cool this summer with this flowy dress with a gorgeous blue floral print. Add a large clutch, a nature-inspired necklace, and your favorite flats and you'll be fit for summer fun. Check out Shopkempt for more feminine, graceful clothes that you'll want to keep far past this summer. Love them? Like their Facebook page to get exclusive deals and news and watch out for an amazing giveaway we're doing with them coming soon! Disclosure: This is a sponsored content post.